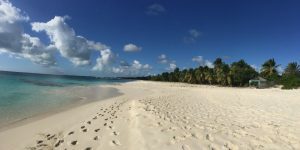 Jo and Mark recently spent a few days hopping between the islands of Antigua, Barbuda and Barbados, rediscovering old favourites and experiencing new options. 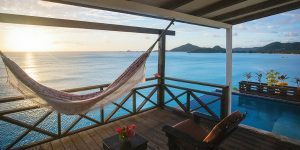 “We began our Caribbean island hopping trip in Antigua, where we stayed at COCOS Hotel as we wanted to make sure that this old favourite was as special as we remembered. Anyone who has been to COCOS will know that the incredible sea views are one of the highlights, and I can confirm that these are still as lovely as ever. For those who haven’t had the pleasure of staying here yet – the colour of the sea really is as turquoise as it looks in photographs! Many of the rooms have been upgraded since our last visit, and in the weeks since we left the hotel two new Sunset Plunge Pool Cottages have been completed. 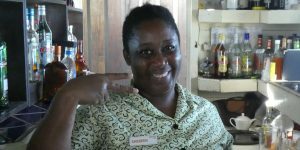 The fantastic staff at COCOS are always smiling, contributing to the relaxed and friendly atmosphere. My only word of warning about the property is that steps down the hillside are quite steep – perhaps not suitable for those who have trouble walking. 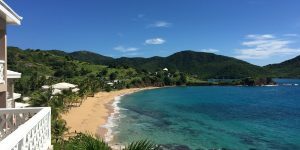 While staying at COCOS we headed a few miles down the coast to Curtain Bluff Resort, where a number of updates have been made recently. 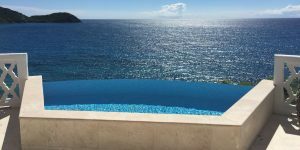 The Hulford Collection signature suites now have brand new infinity pools (wow!) while the main beach area is looking great with extra water sports facilities and a smiling beach concierge team. More upgrades are planned for 2017 so I look forward to seeing what’s new next time I visit! The rest of our time in Antigua was spent exploring and visiting some of the beaches that the island is known for. 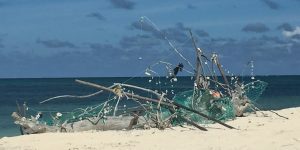 As a snorkelling enthusiast, I took the opportunity to get in the water and snorkelled off of Long Bay Beach in the east of the island – certainly not the best place in the Caribbean for marine life but plenty of tropical fish nonetheless. After a few days in Antigua we headed to Barbuda, an island that we’d never visited before but reached by ferry from St John’s in approximately 90 minutes. Many people choose to take a day trip from Antigua to Barbuda by ferry, but it is worth planning ahead and travelling by air instead – this would be a much quicker alternative and doesn’t cost much more. 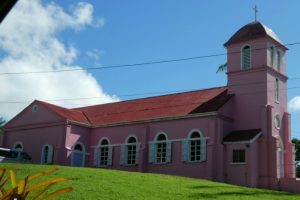 Barbuda is a small, picturesque island with just one real town, allowing visitors to relax and get off the beaten track. We stayed here overnight, highly recommended to those looking for sheer escapism. 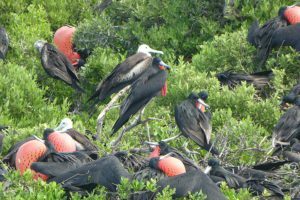 Bordered by deserted beaches with pink sand, the undeveloped island is a natural habitat for Frigate birds. 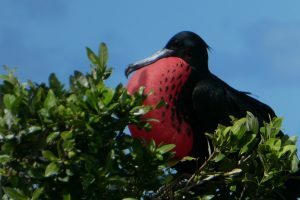 We saw these colourful birds up close as we travelled by boat through the lagoon which occupies almost the entire western side of the island, passing the Frigate Bird Sanctuary in the north western corner. As we cruised about the north coast of the island in search of more secluded beaches, dolphins followed our boat through the shallows – a delightful experience! 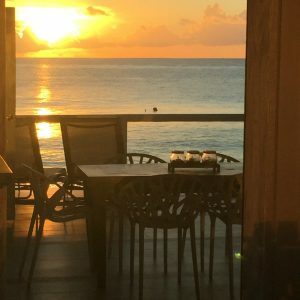 For those wishing to spend a few days in paradise, Barbuda Belle is a relatively new hotel on the north coast which is the epitome of barefoot luxury. There is a rustic yet luxurious feel throughout, with accommodation in private bungalows overlooking the beautiful beach. 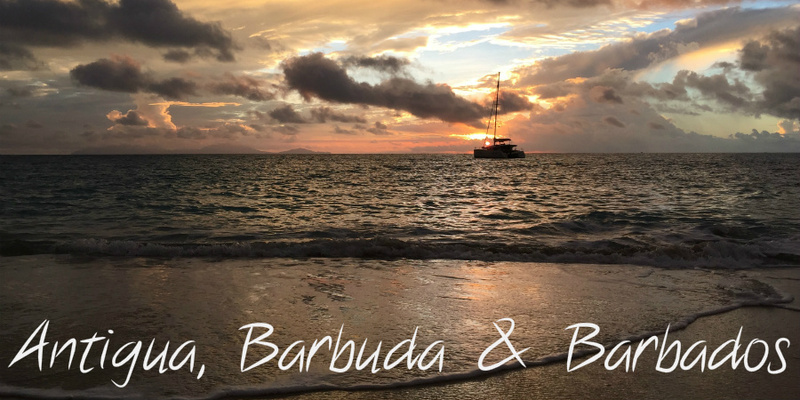 Call me on 01752 880880 to hear more about Barbuda! After a few days on Barbuda, we returned to Antigua by ferry before taking an onward flight to Barbados. 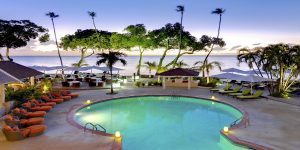 In Barbados we stayed at Tamarind by Elegant Hotels, a great hotel for families where the style is typical of the Elegant Hotels group. This is an excellent base for a stay on the west coast of the island thanks to its central location, with one of the highlights being the excellent Daphne’s Restaurant next door. 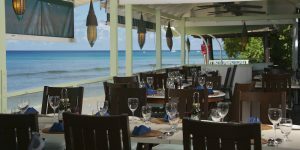 From Tamarind we could easily get out and visit other properties in Barbados, including Treasure Beach Hotel which is located just next door. Treasure Beach is becoming an adults-only property in May 2017, which I think will work particularly well for couples in search of a little romance. Accommodation is classic and elegant, with the most luxurious suites offering plunge pools on their private terrace and lovely views over the beach. A recent addition to the Tropic Breeze portfolio is South Beach, an affordable resort set opposite Accra Beach just south of Bridgetown. 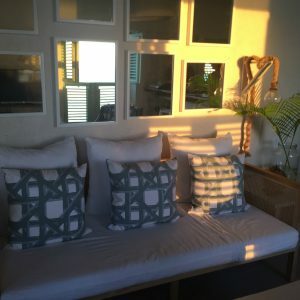 The location is great for those who like to be in the middle of everything, with plenty of restaurants in the surrounding area and the beach just across the road. 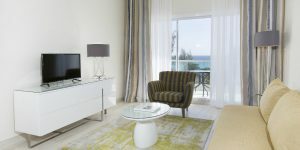 The resort was immaculate throughout with a modern style and fantastic sea views from the balcony of the Penthouse Suite. Perhaps combine a stay here with another property in Barbados or elsewhere in the Caribbean. Our final stop was Little Good Harbour, where I was looking forward to checking out the recently refurbished two bedroom Fort Suite. This oceanfront suite really makes the most of the spectacular position and has been furnished and decorated in a truly beautiful way. Shutters on the windows open to reveal stunning sea views, mirrors have been positioned on the walls to catch the afternoon sun and an outdoor dining area allows guests to dine overlooking the sea. I love this hotel for its high quality furnishings, excellent attention to detail and charming touches throughout such as unique lampshades. The Fish Pot restaurant is one of the best on the island, well worth a visit for the excellent gourmet cuisine served overlooking the water. 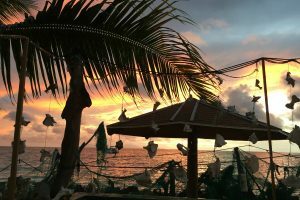 We ended our visit with a drink on the wooden deck by the restaurant while we watched the sun go down over the Caribbean Sea – a perfect way to end the day! Call Jo on 01752 880880 to find out more about any of the destinations mentioned and to discuss your next holiday to the Caribbean.